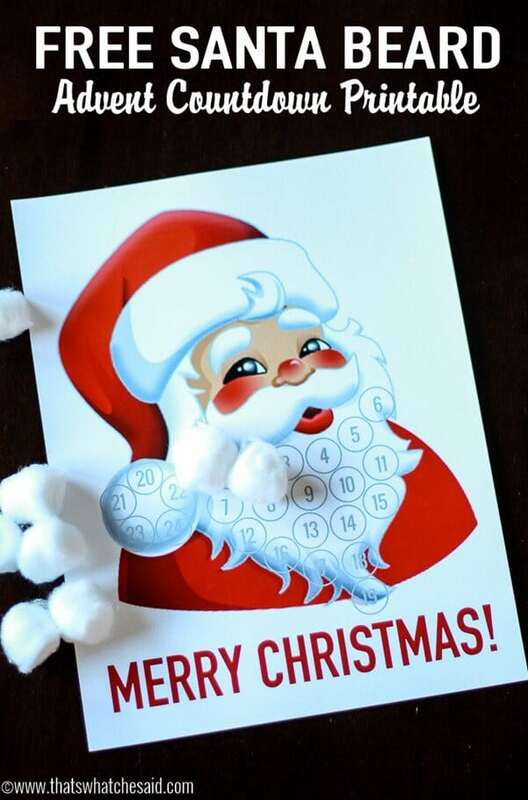 Get excited about Santa’s arrival with this fun Santa Beard Advent Countdown Calendar. Add a cotton ball each day and by Christmas you will have the big guy himself! Get your free download below! One of my most favorite memories of the holidays as a child was this advent calendar my mom had. It was this Christmas scene of a big house and every day you would move this little bear pin to the area of the house that the story told on that day. I loved that. I also loved hot chocolate. We always had hot chocolate during the holidays. Today I am combining both my childhood loves and sharing with you! There is something about a mug of hot chocolate when you get home from school that just screams the holidays. 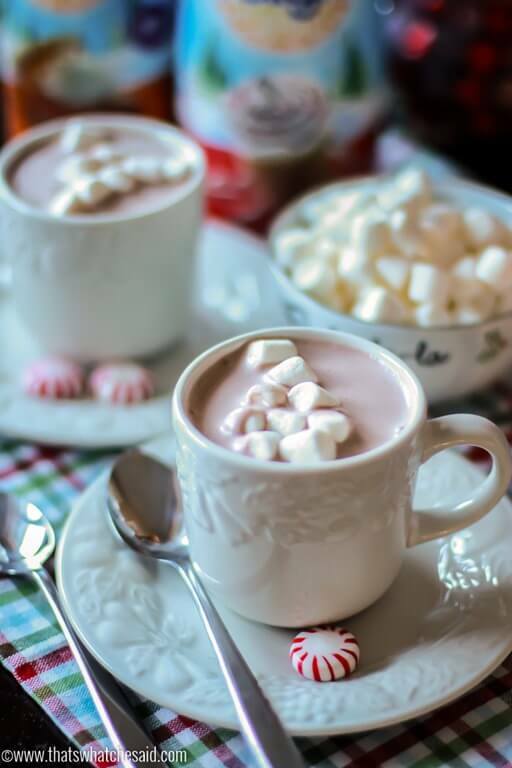 If you don’t already have a favorite hot chocolate, I invite you to check out our hot chocolate on a stick recipe. It is a hit in our house and I know it will be in yours as well! I mix up a batch of hot chocolate on a stick and keep them handy. The big boys get home from school and Spangenbaby is normally still napping. I make them a mug and together, we solve world problems and catch up on what happened in the lunch room, who missed the bus and what the art project was for the day. It’s a wonderful time with my kids. 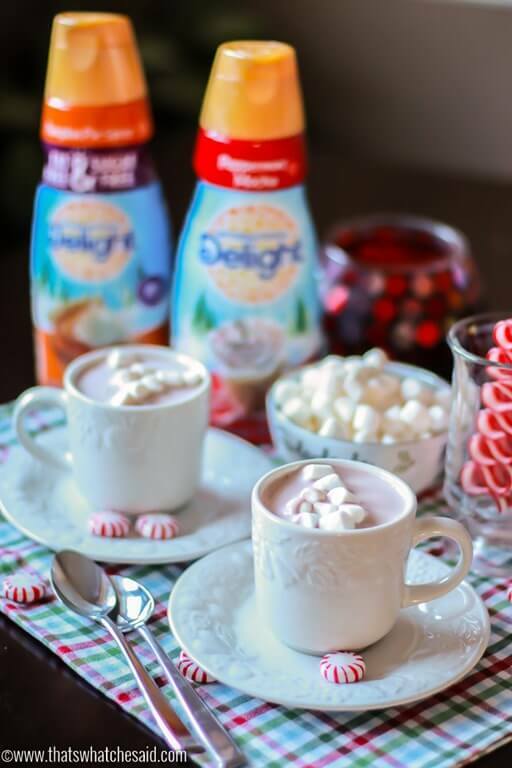 They wanted to get in on the flavor action and they add International Delight Creamers to their hot chocolate, and of course, marshmallows! One prefers Peppermint Mocha and the other prefers Pumpkin Spice! 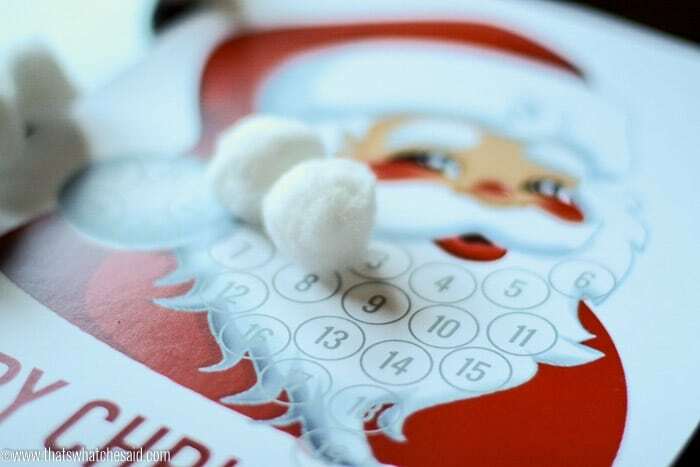 As it gets closer to Christmas, we also take this time in our day to add a cotton ball to this adorable Santa’s Beard Advent Countdown. You can use either glue or double sided tape. There is a spot for 24 days, as Christmas you have a Santa with a full beard and hat pom-pom. I invite you download your own free copy of this Santa Beard Advent Countdown for your own family to enjoy! 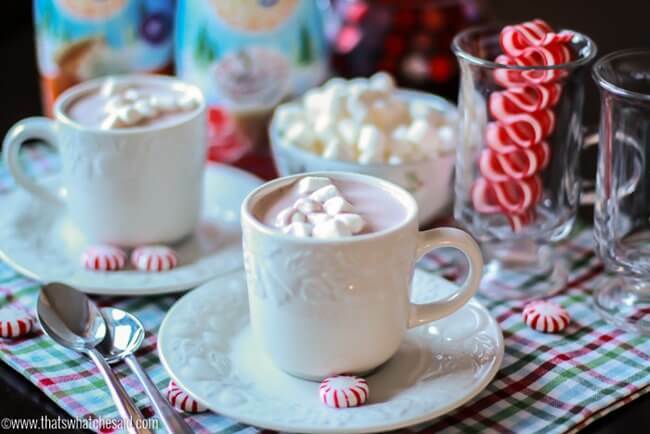 Make memories with your kids this holiday season with something as simple as hot chocolate, some delicious flavored creamers and some cotton balls! This post is part of my 25 days of Christmas Series. I hope you will find more holiday inspiration and check out all my Christmas projects from each year. There are so many projects, recipes, decor, gift ideas, gift wrap options, ornaments and more!